Seeking a solution for maximizing the efficiencies throughout the Venn Diagram? 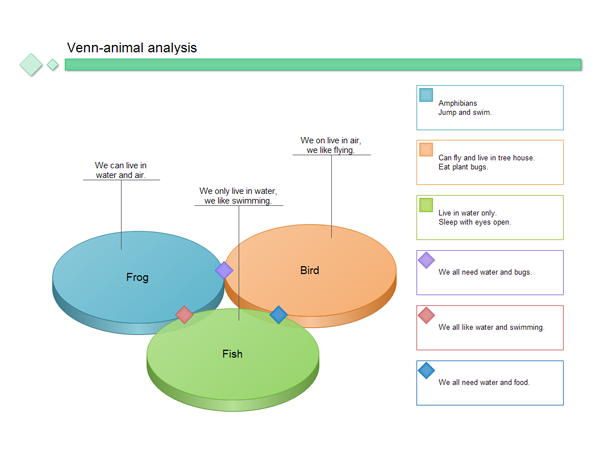 Edraw offers some free Venn templates to help you understand how to draw a Venn analysis diagram quickly. Venn analysis diagram provides a clear visual representation of complex cohort data and enables audience to see at a glance where there are underachieving groups who require targeted support.